There are paintings by the Irish modern painter Jack Yeats that feature the smudgy rush of the modern crowd in rather murky colours all his own. By chance, returning from Dublin, I found in a South London flea market a stylish vintage paperback edition of James Joyce's Dubliners with a cover featuring just such a painting by Yeats. But was there any truth or accuracy in the representations made by those two monuments of Irish modernism, Joyce and Yeats? Did they describe, with any accuracy, their moment, their life, their times, the feel of their environment in the way we might continue to strive to achieve? No proof remains of time as it passes other than in artifacts and descriptions, in the novel, the photograph or painting, the newspaper archive, the archaeological museum, the wrinkling skin and unreliable memories of the elderly, and of course in the graveyard, such as Joyce described in the ‘Hades' chapter of Ulysses. And so, this is all we trust, to believe that there is and was such a thing as the past, in order to have an image against which and with which we attempt to build a future, taking the past as an unlikely record collection, a scratched and warped miscellany that we mix and remix to provide the soundtrack for the present. In the process certain events become repetitious loops, well-worn grooves or tracks conveniently jumped over, while certain events or artifacts are raised to special, even divine status. In Dublin you can join a queue of international tourists, pay €10 (currently equivalent to £10) and, after a tour of the grounds, glimpse The Book of Kells, a magnificently illuminated pre-modern tome, demonstrating a marriage of art's extraordinary responsibility for care and consideration with the devout servitude found at the extremes of Christian faith. Certain novels, paintings, films or photographs, a particular diary, a lock of hair or item of clothing might be singled out for special attention in the search to believe we know what the past was really like and yet even the most animate and apparently accurate of these records - the cinematic archive perhaps - immediately acquires a patina of nostalgia, incongruity and anachronism which endears it to us only as that very charm simultaneously undermines its verity by compromising our critical faculty. 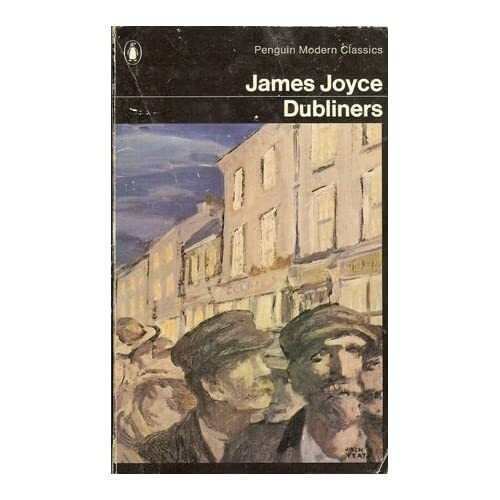 Modernists like Joyce and Yeats went out on a limb to tell us ‘how it is', audaciously refusing sedentary academic procedures and inventing their own forms and styles in order to ‘cut to the chase' and get to the truth of Dublin life in the first quarter of the twentieth Century. But like us, they were surely haunted by the sense that there is no ‘how it is', if only because the modern artist's gifts are so consciously subject to a peculiar vision and willingly misled by the vicissitudes of a chosen medium so that, along with the self, typewriters and oil paints have their say in the matter, interrupting and informing any grand human endeavour to accurately describe reality. I can concur with Yeats that Dublin is indeed a crowded place, and with Joyce that I am indeed one of that crowd, embroiled and entangled with city, self and others, my own experience occasionally blurring the boundaries between. The packed tram on which I rode one afternoon crashed a little later into a bus, seriously injuring several and illustrating the slightly ludicrous rush of intersecting lives that, perhaps more than anything else, defines our experience of modern cities. The September weather in Dublin also confirmed Yeats' murky palette whose expressive dashes of myriad colours sometimes resolve themselves as an overall muddy grey, like the outcome of a naive expressionism that goes too far in asserting the artist's freedom to test the limits of self and medium. The city is a built environment, with its limits and its suburbs, its name, its streets and buildings, but it is also the crowd, of shoppers, workers and tourists, peppered with a few high officials and lowly beggars who, in their respective ways, remain marginal to the workaday majority. Like cold islands in the rushing sea of people, timeless stone seats of government, law, religion, education and culture resist, with varying success, the curious and desiring mass that is today democratically empowered to access almost every space, however sacred or profane. The city is colonized with brands and logos (‘brandscape' is a newly coined term this summer), shop-fronts have converted Georgian streets into malls that promise everything. All is possible, available, visible, just within reach and yet, to me at least, so expensive that I soon feel like Gulliver in a tale Swift omitted from his collection of Travels as I pass through a land where locals deal in an enormous currency incompatible with my own small change. The only solution is to look for alternatives, competitors to consumerism's sport, to seek out sanctuary from the prevailing demand and tease out some grace and favour from the dizzy fever of mutual exploitation to which Yeats' modern crowd have sacrificed themselves in post-modernity. A new city and a new collection gives you the chance to see paintings you’ve heard much about but previously seen only through the diminishing effects of photography. Here, for real, and for the first time, I come to Caravaggio’s The Taking of the Christ, and my growing suspicion concerning how much can be gleaned from looking at photographs of paintings is confirmed. It may be post-postmodern to say this, but in many cases you must see the ‘real thing' to understand why this particular artefact has forged a place for itself in the history of art. And only in art's physical presence might we also learn just what qualities a work of art needs to possess in order to be acknowledged, savoured, and cherished by posterity. Caravaggio's sole contribution to the Dublin collection literally ‘outshines' competitors from various centuries represented in the collection, not only because of its truly extraordinary technical prowess and bravado but because it remains such a potent and current political symbol of enduring human concerns. Shortly after seeing it, I wrote to a painter friend staying in Johannesburg saying it felt like the most modern and most political artwork in the world today (and that is really something to say to a Soweto-born South African artist). It would take too long and become too much of a diversion to begin unpicking the current value of the biblical scene composed so idiosyncratically by Caravaggio, but suffice to say that it is difficult to look at The Taking of the Christ and not be reminded of contemporary riot police in their formidable armour and their often brutal responses to popular dissatisfactions with globalising consumerism. The arm of Roman law stretches long across almost the whole painting as the state asserts control over the unruly alternative offered by the disruptive Christ. One belief system is sold out to another for a few pieces of silver, and the worldly state renews the dominance of a rational mode of managerial governance. Along with Christ - we might feel - the painting represents the ‘taking' of all that is precisely not measured in economic quantities, and which we thus hold dear. Proceeding through the National Gallery, the grand halls of premodern painting turn to Romanticism and Impressionism with a nice touch from the curators as the grand wood panelling gives way to more modern, white-painted ironwork screens supporting pale blue panels like the skies of a plein air Parisian suburb against which the paintings are hung, thus symbolising the early modern escape from the academy and its traditions into the realism of the street and suburb, then away from the crowd too as daring new modern painters ran increasingly towards light itself as a kind of saviour. But here it's only a curious little square painting by Delacroix, depicting the Greek orator Demosthenes, that burns itself into my psyche, perhaps because it illustrates the myth that Demosthenes rehearsed his rhetoric and speeches with gravel in his mouth, and by the noisy sea, so that when he came to speak in the forum freed from these impediments, his mouth would be the most mobile and his voice loudest and clearest of all, reaching out clearly and convincingly above the noise of the crowd. However apparently conservative the function of galleries and museums might be, and howsoever they are funded, they continue to provide some sense of alternative to the overarching economy. Despite the fashionable proliferation of pricey cafés and restaurants in which we are invited to dally just out of sight of the artworks themselves, the peculiar valuation of art, by audience and market, contemporary media and by posterity, remains thankfully mysterious, elusive, disruptive and mercurial, always slightly irrational and beyond the logic of consumerism. At best, we could hope that the recent, populist revolution which has so greatly increased the audience for art is secretly performing a Bretonian transformation of the mass consciousness and not - as is often feared - merely popularising art in such a way as to eliminate its most mysterious forces and functions. Even if much of the paraphernalia is similar, the experience we have in a museum, in front of an archaeological or art historical artefact surely remains an alternative to the experience of shopping. In both cases we are forced to wander, look, pass on from object to object, (‘grazing', as some theorists put it) always encouraged by the artful traditions of display, contextualisation, explication and presentation. But even if the museum shop offers numerous affordable mementoes of its treasures in the form of umbrellas, headscarves, pens and mouse-mats, the very fact that what we see in the museum or gallery is beyond our means of acquisition transports it to a higher realm and may serve to bring into question the central value of acquisition that drives our everyday rationale. Thus, an apparently conservative function, and the longest traditions of art, can be turned radical and disruptive. Meanwhile, the shopping experience, intent on stimulating desire, does not want us to observe and retain its merchandise merely in memory but on the contrary, hopes for its goods to dissipate and be dispersed as rapidly as possible; their primary value is only at the point of sale, and so the apotheosis of the consumable commodities is the perfume which greets visitors to the grandest stores - sometimes sprayed directly onto the arriving customer - and which evaporates as its very raison d'être. Having digested the National Gallery, followed by the Hugh Lane collection (where you can worship the deified remains of St Francis Bacon's eternally embalmed studio), the Archaeological museum, the orientalist Chester Beatty's Library museum (all free of charge), I found myself dutifully immersed in representations of Irish political history within a series of disused jails and military buildings left over from British Imperial rule and often ill-suited to their new function as providers for art, tourism and education. The general design followed by the occupying forces seems to have been a huge exercise yard or parade ground surrounded on four sides by wings in which to house prisoners or soldiers. When these wings are converted into galleries and museums their narrow form means they are unable to avoid producing history as a claustrophobic linear narrative, no matter how inventive the curators try to be with their display devices. One of these buildings is devoted to the Irish Museum of Modern Art which struggles to inspire curators, with its long narrow buildings allowing insufficient space to stand back from a painting and curtailing the possibilities offered to curators and installation artists who might hope to use space more inventively. Meanwhile the huge unused expanse of the grim exercise yard outside and below seems to mock all this restriction as if some over-efficient military logic scored a resounding victory over powers of imagination so treasured by the arts. When the city's crowds and prices overwhelm us, my partner and I take trains out to Howth and Bray, marking the limits of public transport and the metropolitan zone at the extremities of Dublin Bay. On an airy walk around Howth's circular peninsula you can gain a perspective on the city as a whole. A few cargo ships wait in the wide, uncrowded bay and an occasional ferry heads in the direction of Wales. As we negotiate the rugged path and admire late-summer wildlife we also pass the dream homes of Dublin's wealthiest residents, great old baronial manors with 30 rooms or equally spacious but thoroughly neo-modern cubes of minimal glass and wood, all gazing out over tumbling gardens, on across the Irish Sea. Perhaps as a symptom of these shifting economic times we occasionally came across homes that are equally impressive but rendered doubly ‘dreamy' in that they are closed up, windows blinded with rapidly nailed ply, their gardens returning to nature. Such houses will always exert a special power over the human mind, arousing in us some fear or vision of our own body once vacated at some future time by its vital, animate spirits. At Bray, on the southern wing of the bay, you can take a bus up to one of the finest monuments to English settlement. Powers Court is a very stately home indeed - or was. Merely to negotiate its drive (unaided by the aristocratic prostheses of a horse, carriage or convertible) takes the best part of half an hour walking in awe of towering beech trees. Its seventeenth century grandeur once featured an enormous Rococo ballroom and the house retains its most famous feature, ornamental gardens, inspired by Versailles, which cleverly frame a slice of the Wicklow mountains beyond, giving a picturesque impression fashionable at the time of their inception, but clearly suggesting that the huge Anglicised estate extends further, laying claim to the depths of the country, optically mastering all that the south-facing windows and terraces behold. 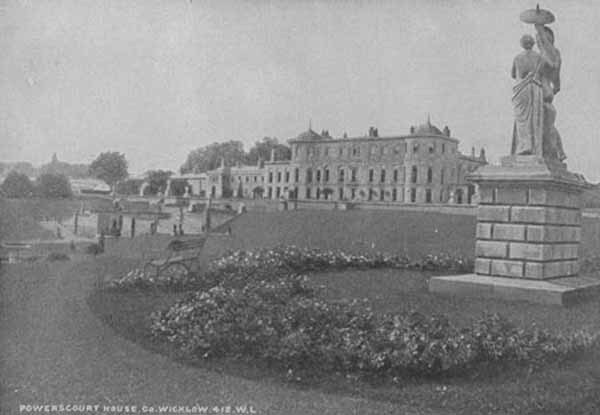 But while the garden remains intact (and can be visited for a price), the interior of the house, after being carefully restored by an expensive ten-year programme, was ravaged by fire on the very night of its unveiling to press and public. The event is explained as ‘tragic' and ‘unfortunate' but can't avoid attracting conspiracy theories regarding the possible political motivations behind the supposedly accidental immolation of this colonial symbol. Having lain dormant for many years, it has been rejuvenated as a shopping mall cleverly installed within the original architectural frame, replete with the compulsory but wholly incongruous escalator installed to keep up the appearance and maintain the fantasy of department store shopping. Now, instead of moving as an increasingly enlightened group through gracefully reinstated Rococo interiors while marvelling at the excessive aesthetic of a privileged past, you hurry about with the acquisitive eye of an individualist, senses numbed by muzak, as huge SALE signs draw attention to every home furnishing or fancy foodstuff that might provide you with a bargain. Occasionally you glimpse, from the corner of an eye, that other, silent world beyond the windows where the euro-empowered public now calmly promenade among gardens originally designed for the entertainment of visiting aristocrats. The local bus driver will collect you from the gates of Powerscourt and, before taking you back through the nearby village and on to the trains at Bray, complete his routine by gunning the bus up into the first of the Wicklow mountains where a little layby marks the end of his route and a place where he is compelled to rest for five minutes before turning the bus around and heading back. Here, he spends his downtime informing us that this is the limit of the city, where only intrepid adventurers, hikers with backpacks, usually discharge. To illustrate his point we watch one of our fellow passengers disappearing off up the road as it winds and narrows into the scenery. It's one more way of escaping the crowd and consumerism and even if today's hiker is armed with a pricey GPS navigation system, credit cards and a mobile phone it's reassuring to know that there is still a faint desire for Romanticism, providing a narrow conduit through which to believe there is yet some outside or alternative to the prescribed and predictable programme of experiences provided by what seems such an over-humanised world. Even modernists like Yeats and Joyce foresaw that the sublime no longer existed ‘out there' amid storm and the wild but somehow within the shapeless scramble and confusion of human existence, here in the confused self and its relation to others similarly compressed by the crush and crash of urban space. Today's escapes and dramas are largely virtual, heavily mediated, and the very desire to escape may have lost its function as we seem increasingly willing to comply with a more limited sense of our possibilities. In 1929 and 1979 the solutions to a crisis of capitalism were to bring more of us deeper into the system of commodification and exchange; of competitive individualism and compromised alternatives. In 2009 we seem on the cusp of a similar moment, so how will we fare, and how will artists and cultural producers respond? 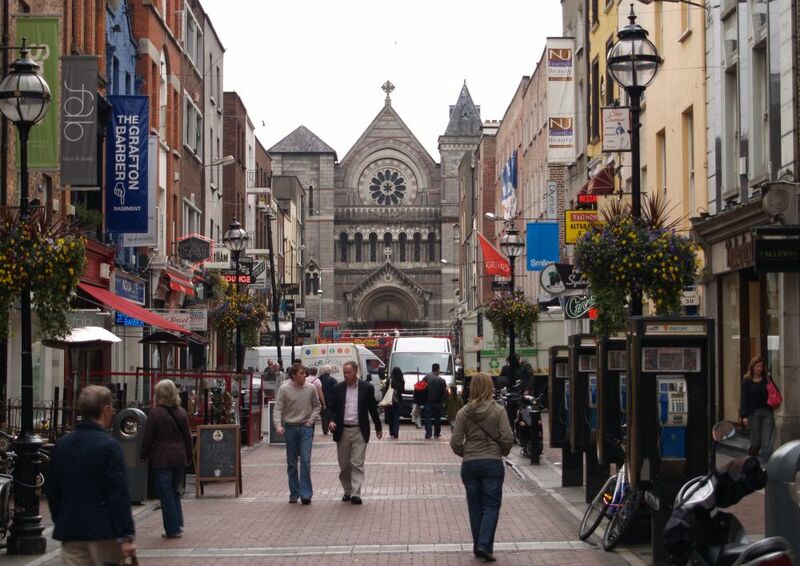 This is what my Dublin sojourn - probably the last of the noughties' ‘city breaks' - makes me wonder. Paul O'Kane is a writer, artist and tutor based in London.